Hair phenom Cliff Vmir explains it all. Here’s one beauty resolution that can make a big difference but requires very little commitment—a wig. For those in the know, it’s the game changer that can revamp a look, turn on an alter ego, or take the stress out of styling within a matter of minutes. And who wouldn’t be inspired by the wig looks we see on Beyoncé, Kylie Jenner, and Zendaya? For the rest of us, it’s a fascination that goes deep and can get very confusing. Wig maker, celeb stylist, and owner of Hym Hair Cliff Vmir (who works with Cardi B. and is only 18, BTW) breaks down exactly how to shop for one. So if you’re ready to invest in a good piece that will look like it grew right out of your own head, take notes—starting with the lingo. Virgin Hair: Bundles of hair used to make custom wigs that have not been colored or processed in any way. Frontal Lace Wig: A hair piece that is secured to just the front of your head. It goes from ear to ear and covers the entire hairline. It’s either 13" long and 4" or 6" wide. While your own hair is fully covered, this type of hairpiece is not made for updos, as lifting the back will expose your hair underneath. Lace Front: Just the hairline is made of lace; the rest is usually made of a thicker material, like a skull cap, that doesn’t allow for parting, updos, or any other style where the scalp may be exposed. Full Lace Wig: The entire base of the wig, all 360 degrees from the hairline to the nape of the neck, is made of lace. It also includes tracts of hair in the crown and middle. This gives you styling versatility like wearing a high pony or an updo. Units: A unit is a custom constructed piece that’s made using a frontal piece (either 13" x 4" or 13" x 6") and additional tracts of hair in the back. “You can make them full, or you can make them thin—this is what I wear and prefer,” says Vmir. Install: The process of placing and securing your wig on your head. This is usually done with glue or sewing. Knots: The roots on a wig that mimic the roots on your own hair. Most are made of black thread. 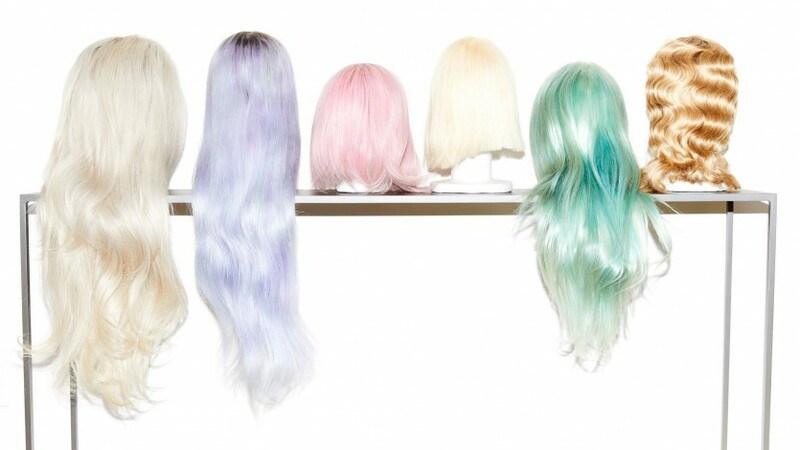 On higher-quality wigs, the knots can be dyed or lightened to look like a scalp. The thickness of the knots also determines how natural it looks. Plucking: The art of using tweezers to thin out and create a hairline on the lace-front wig. This creates the illusion of baby hair and softens the line of demarcation between the wig and your own hair. Vmir notes that you can’t “pluck” a synthetic wig, only human hair. Closure: A horseshoe-shaped section of hair, usually 4" x 4", that you install to close off a style. It’s sewn on at the front/crown of the head when wearing a weave. You’d do a closure if you have a style that requires a specific part (center or side). 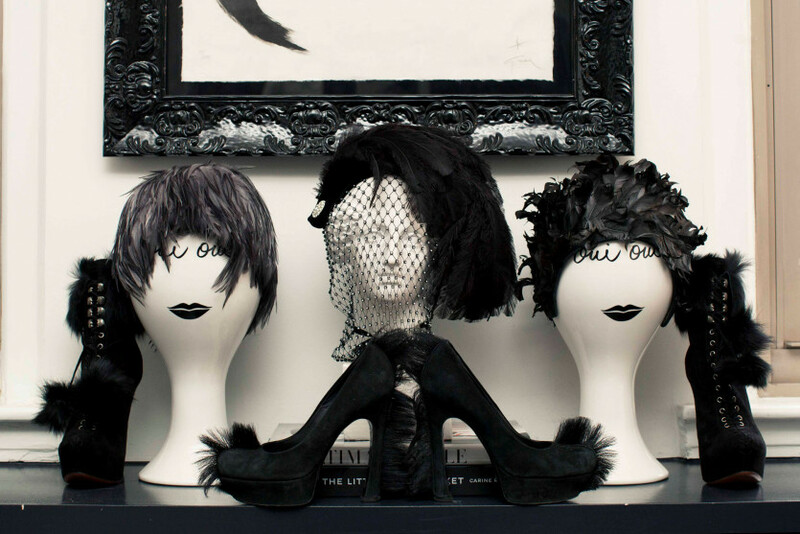 Although these are not wigs, the term comes up when talking hair pieces. Now get ready to shop. The best place to start is by deciding how much you want to spend and how long you plan to wear it. 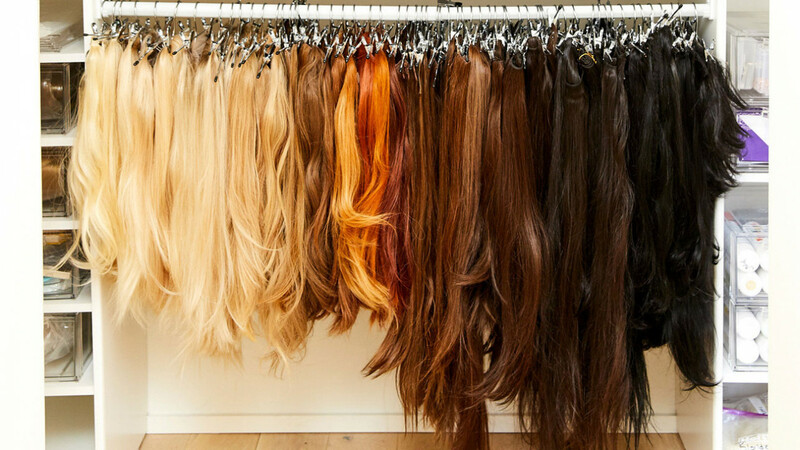 According to Vmir, your choices will either be straight-off-the-shelf synthetic, human hair with a generic fit, or completely custom. The “straight off the shelf” option is exactly what it sounds like. Most are already curled, colored, and styled, so it’s just a matter of choosing one and gluing it on. These will be the cheapest of the bunch, ranging from $20 to $70. They are made of synthetic material, so it can’t be heat-styled or colored. Human hair wigs will cost significantly more, but many still come with a one-size-fits-all base. Some have adjustable straps on the inside that you can adjust for a better fit. The upside to human hair wigs is that they can be customized with a good dye job, cut, or heat-styled. A full lace wig made using 24" virgin hair should cost around $450 to $500. Custom units are priced on more of an à-la-carte scale. You have to purchase the individual pieces that will then be sewn together. The frontal alone can range from $135 to $200. The bundles, $80 to $150 per bundle, and you’ll need at least a couple. Then you have to pay the stylist to actually construct the wig. Depending on their experience level, they may charge anywhere from $250 to $650. “On average my clients can expect to pay about $500 for the hair and then $650 for me to construct it, so they’re looking at about $1,500,” says Vmir. Synthetic hair wigs tend to have a thick plastic lace in the front with a shiny finish. On human hair pieces, there’s either French lace or Swiss lace. French lace is thick and, according to Vmir, very hard to blend with skin, as it only comes in two colors, medium and dark brown. Swiss lace, on the other hand, is very thin and comes in several different color options: transparent, light brown, medium brown, and dark brown, which is more suitable for different skin tones. Measure your head beforehand. Knowing the size of your head will help guide you on which wig will fit you comfortably and naturally. You don’t want any gaping along the hairline—that’s a dead giveaway that it’s a wig. So either grab a tape measure, or get fitted by a wig maker. Dye it. 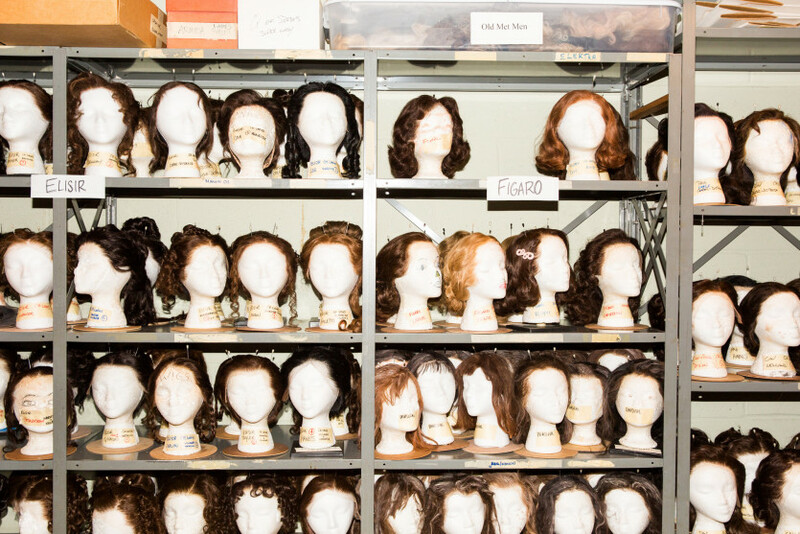 Many off-the-shelf wigs will be a single color. Take it to a colorist, and have them add some dimension and highlights so that it looks more like real hair. Coloring or toning the knots and base will also help it blend with your scalp. And don’t forget to choose the right lace color for your skin tone. Flatten your hair underneath. When you braid your own hair before installing your wig, do small, thin cornrows going straight back to avoid any lumps and bumps once the wig is placed on top. “I wash my wigs every two weeks,” says Vmir. Synthetics will last about two weeks with constant wear. Full lace can last around two months, and custom units can last much longer. “After about two months, if the frontal starts to show signs of wear, the stylist can actually take the front piece off and replace it with a fresh one,” Vmir explains.